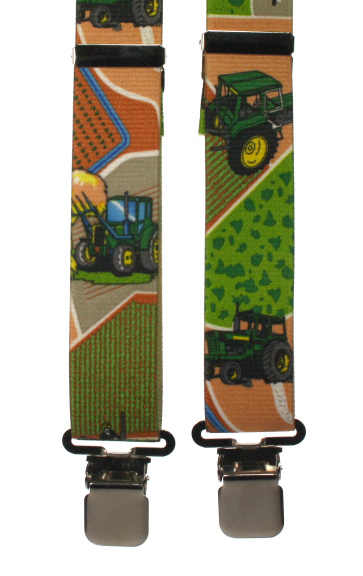 Novelty green tractor braces with a scene of coloured fields and green tractors farming the land and collecting hay. A pair of Red Tractor Cufflinks. Red tractors, black tyres and rhodium fitments. One of our novelty cufflinks range. A pair of novelty tractor cufflinks. Blue tractors, black tyres and rhodium fitments. Other colours available. Boxed.